Android smartwatches are not in a good place right now, and this might be because of pf the numerous numbers and dwindling sales. Google last year made the decision to rebrand Android Wear as Wear OS, in hopes that this would help the company turn a new page with a more refined and competitive wearable operating system. The rebranding was a necessary move, considering that every third Android smartwatch was being paired with an iPhone, and reflects a broader trend at Google of removing the Android moniker from cross-platform services. But rebranding a product is one thing. Reinventing it is something else entirely. Inside sources last year claimed that Google was hard at work on a smartwatch, and the only reason it didn’t launch in 2018—contrary to all the rumors that it would—was because the company didn’t deem Wear OS ready (or good) enough to grace a Pixel-branded device. 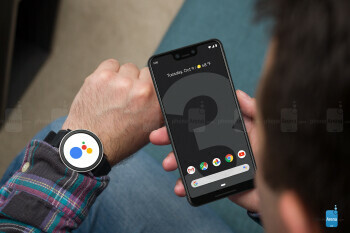 However, since then, Google has kept improving the platform and preparing it for the inevitable launch of the Pixel Watch, which may actually happen later in 2019. The planets are aligning – Qualcomm has released a new chipset for wearable devices, which was a much-needed update of the aging silicone dragging Android smartwatches down, Wear OS is turning into something actually useful with Assistant at the forefront, and Google just bought an exciting new smartwatch technology from Fossil for a cool $40 million. All signs point to a Pixel Watch in the near future. The tech Google bought from Fossil is still shrouded in mystery, but according to the watchmaker, it is an IP that covers a technology, which is still in development but could be a game-changer for wearable devices as a whole. While Fossil began working on the IP as late back as 2015, following the acquisition of competitor Misfit the company might have a ready made testament for all their effort so far. However, that’s merely speculation, but the exciting new feature Google is working on could be an improved control method for smartwatches. The touch-sensitive bezel of the Misfit Vapor offers similar functionality, all the while being completely solid-state. It’s a great idea, and though it wasn’t executed well enough on the Vapor, it has the potential to become something great, if more elbow grease is put into it. Furthermore, it would be a perfect complement, at least concept-wise, to Google Pixel’s Active Edge—a.k.a “squeeze”—feature.